My mother-in-law’s family tries to get together every couple of summers for a family reunion. Usually the site of the reunion is down south, as that’s where most of the family has been over the last couple of hundred years. 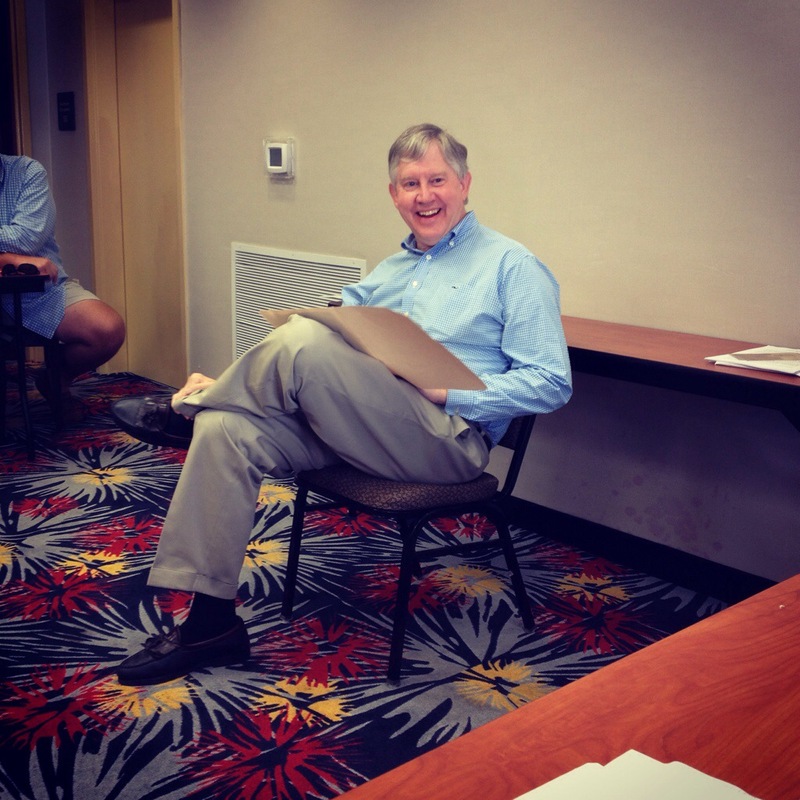 This year we met in Natchez, MS for a few days of story-telling and fun. My husband’s uncle, John, always prepares a genealogical summary of a specific branch of the family and it is presented at the reunion. 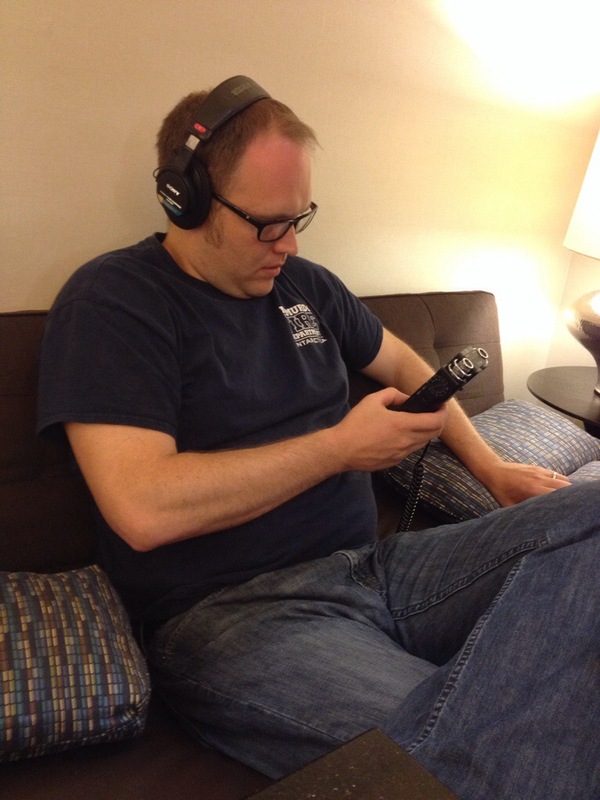 My husband enjoys all the stories and the recording of said stories. I, of course, use the opportunity to force sewing and crafting on people. At the last reunion, I coerced people into making quilt squares and then put them together for a small lap quilt. We continued the tradition this year and I have some fabulous squares to work on over the next few months. 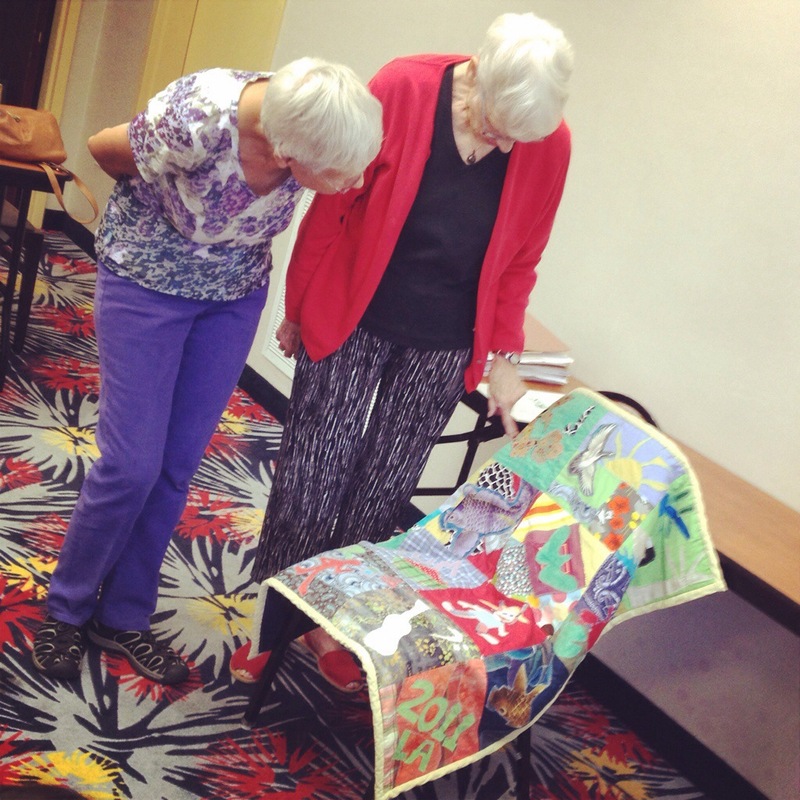 Aunt Jeanette and Nancy looking over the last quilt. It’s always a fun time and hard to say goodbye to everyone. Until the next time….